Need a little sparkle in your pond? Check out Gin Rin Koi. Breeders refer to the metallic-looking scales as Kin Gin Rin (pronounced Keen Geen Reen), but to hobbyists, they are simply diamond-like, sparkly, shiny and reflective. 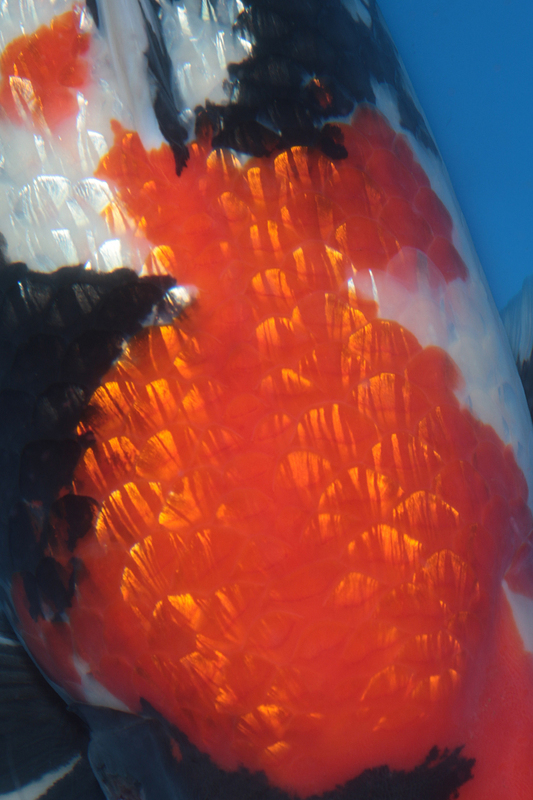 Whatever you call it, the Koi’s scales have a gold or silver reflection depending on the color underlying it – the shine appears silver on white and gold on red. Gin Rin scales contain a pigment called guanine, which originated in wild fish and which Koi breeders have worked to enhance. 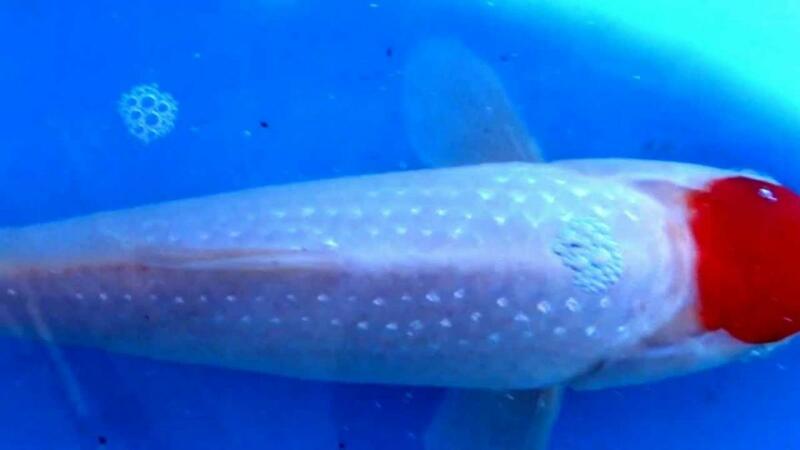 Below is a picture of shiny ocean fish, and compare that to a modern Gin Rin Koi pictured above! The intense silvery or gold reflections appear to be stronger in younger Koi because a Koi’s scales overlap when they are young. As the Koi ages, you start to see the skin around the scales (referred to as Furkurin), and because the scales are separated, the overall proportion of glitter is less although the Koi has exactly the same amount as glitter as when it was young. 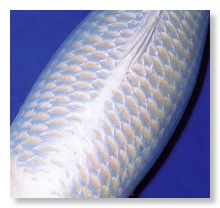 Below is a good example of an older Gin Rin Koi where you can easily see the skin between the scales. 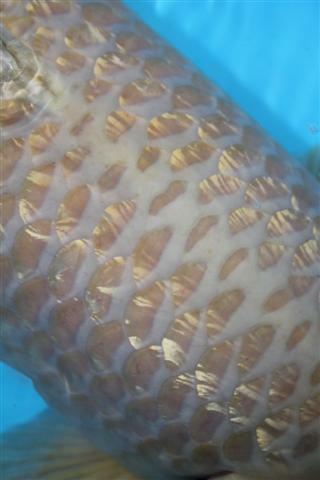 But if the Koi has shiny skin (Hikari) like you can see pictured below, then the skin itself becomes the focal point, because it looks like the Koi is wearing hundreds of silver rings. Image a Koi with both shiny skin and diamond-like scales – no wonder Koi are referred to as living jewels! The glitter is best admired in the white and red patches of the Koi below, because it almost disappears in the black. It turns out that the intensity of the black and the glitter can be thought of as being mutually exclusive, so a Koi that exhibits great glitter in the black patches is incredibly rare. Or course, sunlight can also intensify the refection of Gin Rin, but many pond owners love their sparkly Koi because the glitter can easily be seen in deep ponds or less than perfectly clear water. 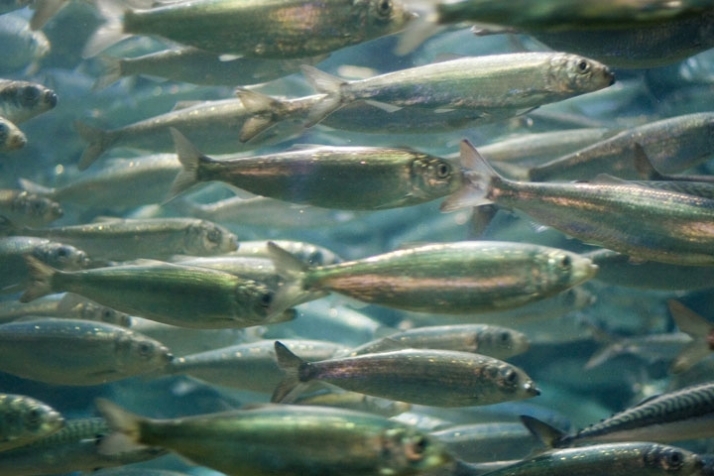 While Gin Rin was being developed by the breeders, there were several ways in which the Gin Rin appeared. 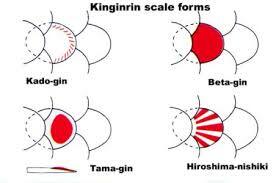 But as the breeding was perfected – the Hiroshima Gin Rin ended up being the brightest and most sought-after. Hiroshima Gin Rin is now just called Gin Rin, and is the standard that every current breeder strives for, although imperfect or older Gin Rin can still be beautiful. There are occasionally breeders that work at establishing new forms of Gin Rin, such as the Pearl Gin seen below. But it’s hard to get consistent shine on every scale, and many newer forms of Gin Rin are weak and not stable, so have not yet gained wide popularity. Some feel that glittery Koi in the pond are a distraction, while others consider the shine an enhancement to the overall beauty of the Koi. 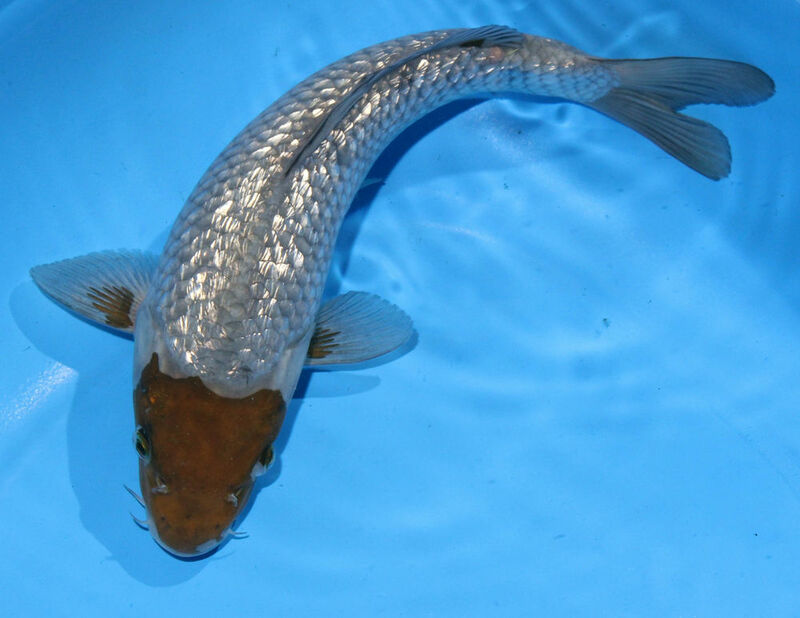 Today, nearly all Koi varieties have a Gin Rin variant. What do you think, and which Koi do you want to put in your pond?